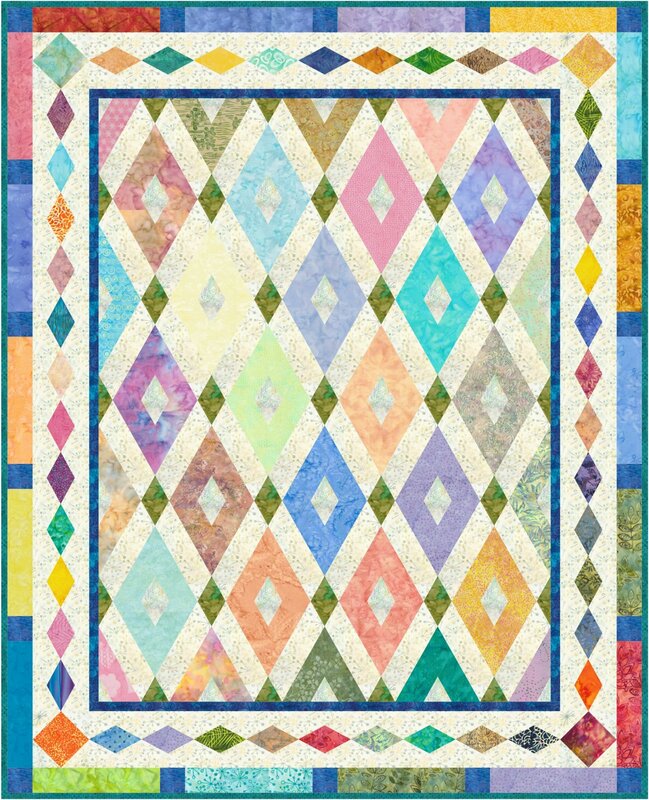 A beautiful lap quilt made from light and medium pastel 2-1/2" strips, cut into diamonds. Use a favorite Jelly Roll or stash, and the From Marti Michell 2-1/2" Strippers Templates make the cutting and sewing easy and precise. Pieced in diagonal rows of nine-patch diamonds and sashing strips, this quilt is easy to piece. 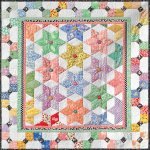 The border is Seminole pieced diamonds and a simple outer border to use up remaining strips.